Professor Slots | Guiding slot machine casino gamblers to success. 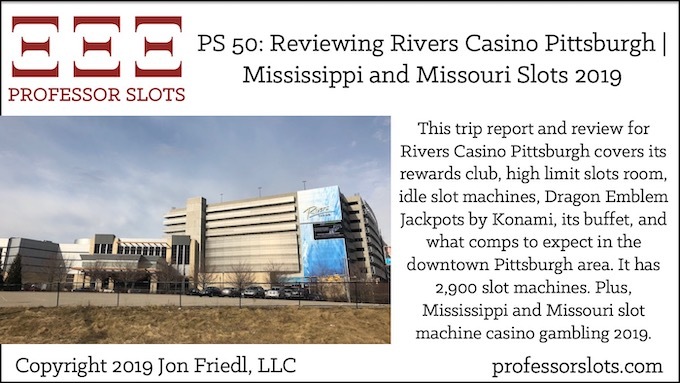 This trip report and review for Rivers Casino Pittsburgh covers its rewards club, high limit slots room, idle slot machines, Dragon Emblem Jackpots by Konami, its buffet, and what comps to expect in the downtown Pittsburgh area. It has 2,900 slot machines. 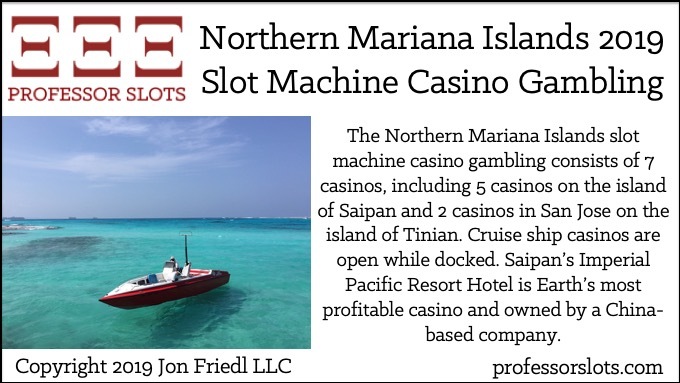 Plus, Mississippi and Missouri slot machine casino gambling 2019. 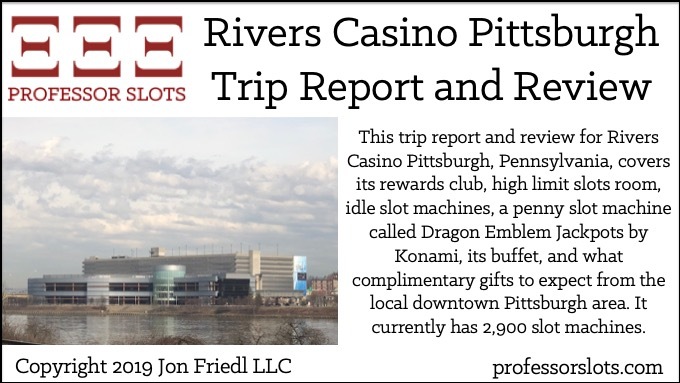 This trip report and review for Rivers Casino Pittsburgh, Pennsylvania, covers its rewards club, high limit slots room, idle slot machines, a penny slot machine called Dragon Emblem Jackpots by Konami, its buffet, and what complimentary gifts to expect from the local downtown Pittsburgh area. It currently has 2,900 slot machines. 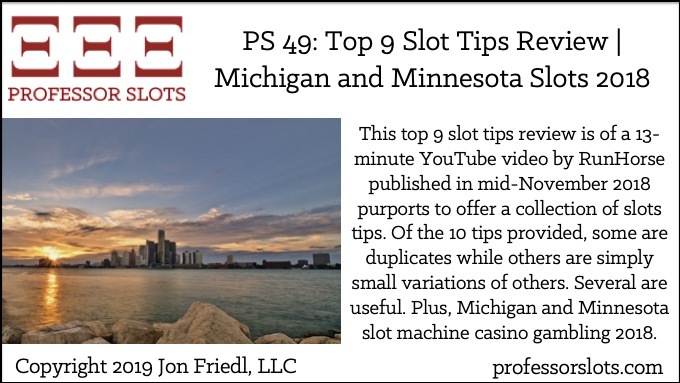 This top 9 slot tips review is of a 13-minute YouTube video by RunHorse published in mid-November 2018 purports to offer a collection of slots tips. Of the 10 tips provided, some are duplicates while others are simply small variations of others. Several are useful. 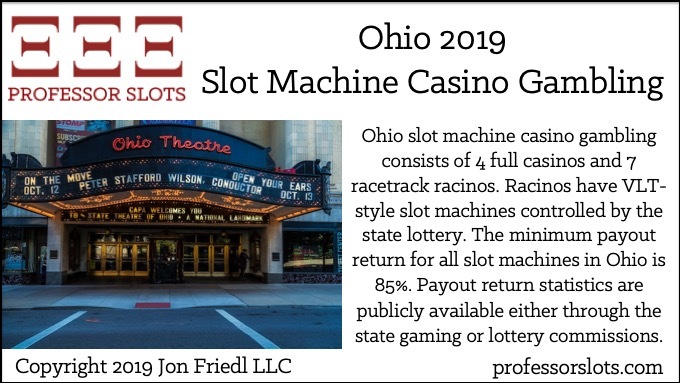 Plus, Michigan and Minnesota slot machine casino gambling 2018. Part of the weekly blog series Online Resource: State-By-State Slots Gambling Summaries, dedicated to guiding slot machine casino gamblers to success by reviewing slots gambling in every U.S. state, territory, or federal district. 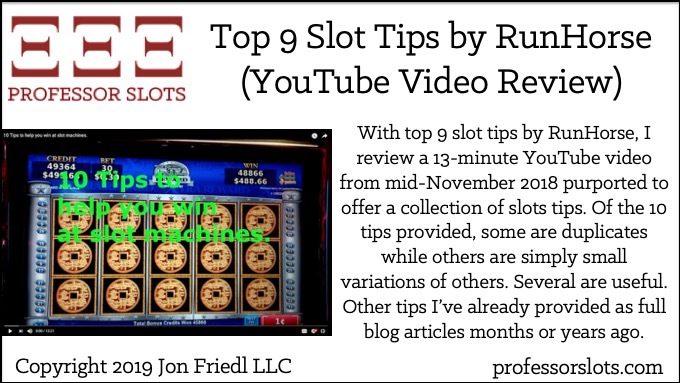 With top 9 slot tips by RunHorse, I review a 13-minute YouTube video from mid-November 2018 purported to offer a collection of slots tips. Of the 10 tips provided, some are duplicates while others are simply small variations of others. Several are useful. Other tips I’ve already provided as full blog articles months or years ago.